Osprey’s headquarters are located in Cortez, southwest Colorado. Surrounded by the landscape of the San Juan Mountains and the vast sandstone canyon country, the Osprey team has plenty of inspiration and opportunity for testing their innovative packs like the Osprey Manta AG 36. Although Osprey is based out of Cortez, Osprey founder and head designer Mike Pfotenhauer often takes up residence in Ho Chi Minh City, Vietnam. Reason being, surrounded by heat, city hustle and energy, packs can truly be designed and built our packs to the high standards expected of Osprey. Living in HCM City also allows for the ability to ensure fair labor standards and personal relationships with the factories that build Osprey packs, which is very important to company leaders. Osprey takes pride in the integrity of their work. Osprey rolled out the All Mighty Guarantee in 2009. The All Mighty Guarantee is a lifetime warranty- free of charge, the company will repair any damage or defect in its product, whether it was purchased before 2009 or today. If Osprey can’t repair the item, they’ll replace it. The All Mighty Guarantee motto is: any product, any reason, any era. This is just another example of what sets Osprey apart from the average backpack company. Finally, Osprey should be noted for its efforts in sustainability. They are eco-consciousness is the materials of their products using no BPA, PVC/phthalates and triclosan, recycled and recyclable, and sustainable materials sourcing and direct shipping. Osprey 100% green sourced power in their headquarters in Cortez. They also are leaders in fair labor, committed to fair working hours and vacation, inspected and regulated working conditions, and salaries well above national minimum wage. If you enjoy our Osprey Manta AG 36 Review and want to find out more about similar products or the brand itself, we highly recommend that you visit their official website. It has an abundance of information about the various Osprey collections and array of products. On the official website, customers take advantage of outstanding customer services such as: pack repair, hydraulics warranty, parts request, pack tech and repair videos, and more. 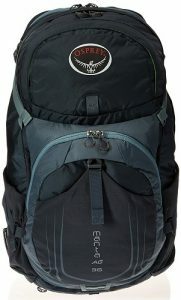 The website also has a unique PackFinder application that can help shoppers find the perfect Osprey pack for their needs by answering a few quick questions about their preferences. Customers can learn about pack care, how to get the right size and fit, and even the best ways to pack their pack! In the event that Osprey learns of any safety hazards regarding their products, safety alerts are posted and updated clearly on the official website. 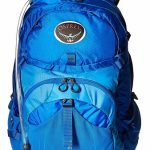 Whether you’re looking for new arrivals in backpacks, or want to read stories from backpackers who use and trust Osprey, the official website is the best for authentic and unique Osprey products. Outdoor Adventurists know that the right backpack will make or break travel experience. The Osprey Manta AG 36 is the pack that will streamline your travel experience and make you look a like a travel pro! It’s polished look, and hydration design has quickly made it one of Osprey’s most sought-after and popular styles. The Osprey Manta AG 36 the is height of smart design in pack engineering, functionality and durability. It exemplifies Osprey’s commitment to making the best products on the market; if you’re heading out on a day long hike where storage, organization and hydration are your main concerns, look no further than the Manta AG™ 36. The Osprey Manta AG 36 comes in two sizes: S/M and M/L. Hikers love this bag because it is large enough to carry a day’s worth of water, but compact and light enough to travel easily. It has a wonderfully sleek shape that moves easily with you as you trek. 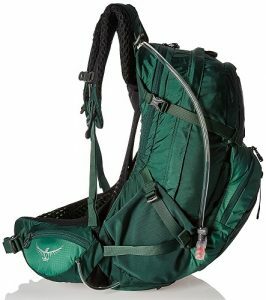 The Osprey Manta AG 36 design offers an integrated 2.5L reservoir that can keep you hydrated all day, and award-winning Anti-Gravity suspension system for ultimate comfort. And you won’t believe the storage capabilities this mighty pack has to offer! There’s a front panel fabric Shove-It pocket that provides quick access. A large zippered front panel pocket with internal mesh pockets is excellent for stashing small items. There are side pockets made from stretch mesh that give you space for extra water bottles. Even the hip belt has storage: two zippered pockets for packing snacks. A zippered slash pocket, made to be scratch free, is a safe place to keep your phone or sunglasses. Additional storage features include: a helmet attachment loop and osprey’s trekking pole attachment system. With this pack, you’ll stay hydrated and equipped with all your necessities! The Overall Rating for Style and Design for the Osprey Manta AG 36 is 4 out of 5 stars. This is a well thought out backpack and carefully crafted for the day hikers in mind, however, we wish they would offer it in a few more colors beyond their traditional three main ones. The unexpectedly high level of comfort the Osprey Manta AG 36 provides is like icing on the cake for this one-of-a-kind hydration hiking pack. 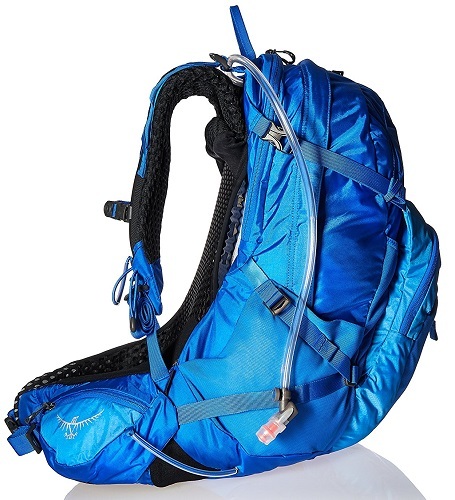 One might imagine that such a durable pack that can hold 2.5 liters of water would feel bulky and uncomfortable. But on the contrary, the Osprey Manta AG 36 offers a different experience thanks to some very thoughtful design elements from a team of committed craftsmen who are experienced outdoor adventurists. Smartly designed with award-winning anti-gravity suspension system, the bag feels incredibly light to wear. It’s just what you want when you’re going to be out on the trail all day long! When you’re out enjoying your adventure, you’ll need to refuel but you don’t want to be weighed down by your pack. With the Osprey Manta AG 36 you’ll experience outstanding comfortable, while also being equipped with the liquid you’ll need to stay hydrated on your journey! 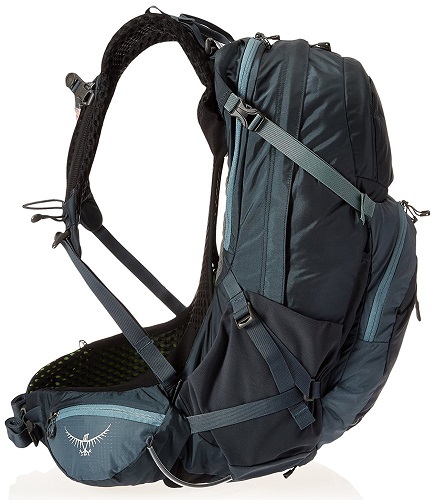 The Osprey Manta AG 36 is designed to be carried on the back. 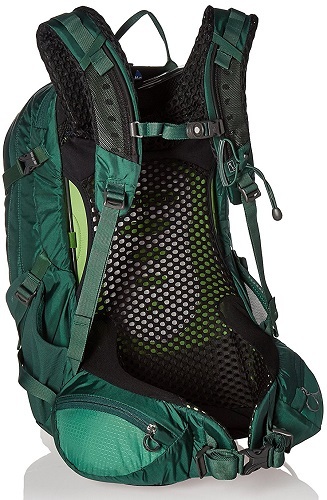 Any frequent hiker can appreciate the way the pack’s design distributes weight equally- no soreness or back pain. The Anti-Gravity suspension system is a combination of LightWire™ frame, mesh backpanel, BioStretch™ shoulder harness and AG™ hipbelt. 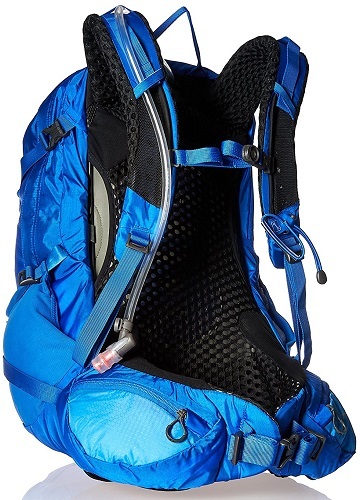 This unique design provides much needed ventilation for the hiker, and transfers the pack weight from the shoulders to the hipbelt. The dual upper and lower compression straps are adjustable and help stabilize your load. Finally, staying hydrated during a long hike doesn’t have to be an exhausting or laborious experience! The Overall Rating for Comfort for the Osprey Manta AG 36 is 5 out of 5 stars! Every detail of this hydration hiking pack is well designed to be light, ventilated and multifunctional. You will immediately notice how durable and well-crafted the Osprey AG 36 feels the moment you strap it on. This remarkable pack is made up of several different high-quality materials to make it last for years worth of outdoor adventure. The main body and bottom of the pack is made from a premium quality, high tenacity nylon material. This dependable fabric is a must-have for braving the great outdoors. The accent fabric is nylon mini hex diamond ripstop. Many see it as advantage for long outdoor hikes. It has a modern look, and as additional bonus- it is easy to clean! The Osprey Manta Ag 36 has other major advantages in durability – an integrated, removable raincover gives this hydration pack protection in inclimate weather conditions. It stores in a small external zippered compartment near the bottom of the pack and can be quickly utilized to provide protection at a moment’s notice. If you’re out and caught in pop up shower, you’ll be ready! For serious hiking shoppers who strive to find impeccable design and top-notch durability in a hydration pack, the Osprey Manta AG 36 is the ultimate! The Overall Rating for Durability for the Osprey Manta AG 36 is 5 out of 5 stars! Along with the fact that it’s lightweight and sleek, it’s long-lasting material will stand up to whatever adventure you have planned. 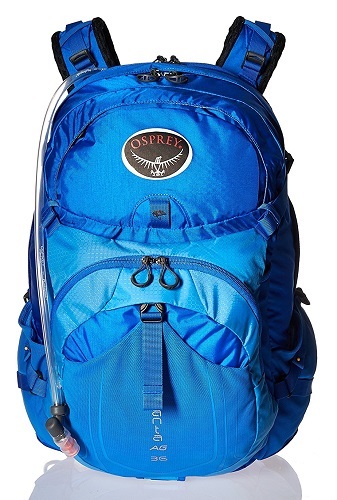 Incredibly damage resistant, the Osprey Manta AG 36 will stay with you for years of easy hydration day hikes. We have already covered several of the key features in this Osprey Manta AG 36 review, but going over the entire list will be beneficial to those of you seeking certain specifications. Every hiker has certain qualities that they desire in a pack- we bet the Osprey Manta AG 36 will exceed your expectations! Hydration Compartment – Direct zip access hydration compartment for spill-free refills. Hydraulics™ LT 2.5 reservoir included. International version does not include reservoir. The Overall Rating for Features for the Osprey Manta AG 36 receive 5 out of 5 stars! Osprey exceeds all expectations in features of durability and design. They are truly craftsmen who will surprise even the most picky and demanding outdoor adventurer. 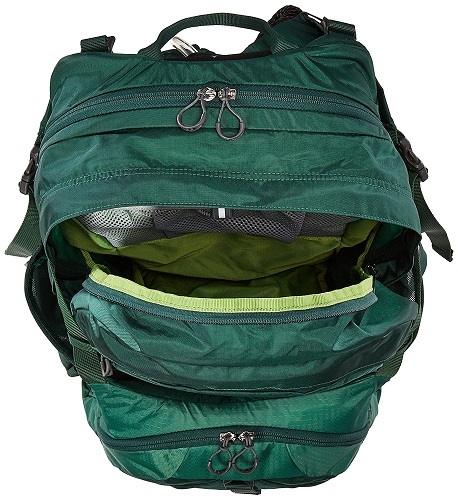 Unique features such as the anti-gravity suspension system, make for a lightweight and virtually indestructible bag that is a spectacular buy. 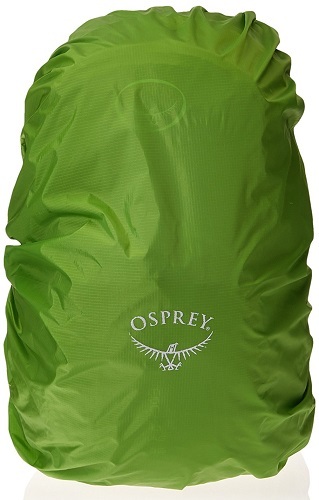 The Osprey Manta AG 36 is one of Osprey’s best sellers. It has been a favorite product in their Manta series collection, and it’s clear why – the combination of it’s top-notch comfort and unparalleled durability make it a one-of-kind bag in the class of hydration hiking packs. The price is not cheap, but for the impressive quality of the product, it could be worth it. You are making an investment in an innovative piece of equipment that will be all you’ll need for years of hiking and adventure. This is really a case of getting what you pay for. The Osprey materials are top-of-the-line and are sourced responsibly. You’re also paying for the brand and the warranty and amenities that go with it. For serious hikers who are looking to invest in a quality, long lasting bag, this could be the one for you. 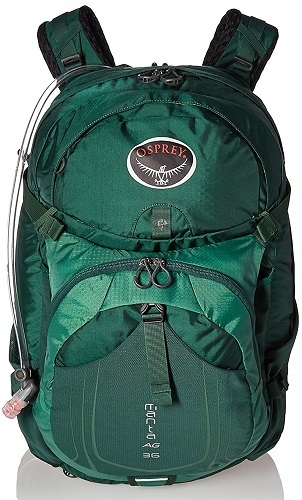 Durability – You’ll be hard pressed to find a pack more durable than an Osprey. Designed by seasoned outdoor adventure professionals, and produced with patented, one-of-a-kind materials, the Osprey Manta AG 36 will be able to withstand even the most demanding outdoor conditions. Enjoy it for years! Convenience – The design features of the Osprey Manta AG 36 are made specifically for keeping you hydrated during long duration hiking. 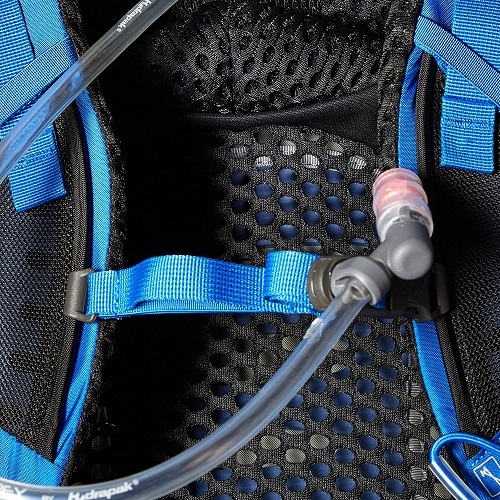 We love the convenience of the magnetic sternum strap bite valve for constant access to fluids, the insanely comfortable anti-gravity suspension system, and a size and fit that will adjust to conform to your unique shape. Customer Service – With your Osprey purchase, you will receive amazing customer service and support. Customers will receive ‘The All Mighty Guarantee’ lifetime warranty- free of charge, the company will repair any damage or defect in its product, whether it was purchased before 2009 or today. If Osprey can’t repair the item, they’ll replace it. Price – What can we say? This hydration hiking pack leaves little to be desired! The only downfall is that it may fall outside of the price-range of some potential buyers. Although the upgrade is well worth the investment, we recognize that it may not be accessible for all shoppers. The Osprey Manta AG 36 is a top-of-the-line, hydration hiking pack. This style is an Osprey top-seller because of its durable materials and new approach to anti-gravity comfort. Now hikers don’t have to choose between staying hydrated and staying unencumbered while out on the trail. With the Osprey Manta AG 36, you can have it all! If you are looking for a long-lasting, comfortable hydration pack from a designer you can trust, this bag could be for you. 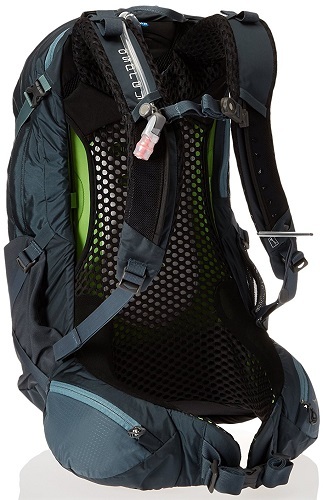 The Overall Rating for the Osprey Manta AG 36 backpack is 4 out of 5 stars!